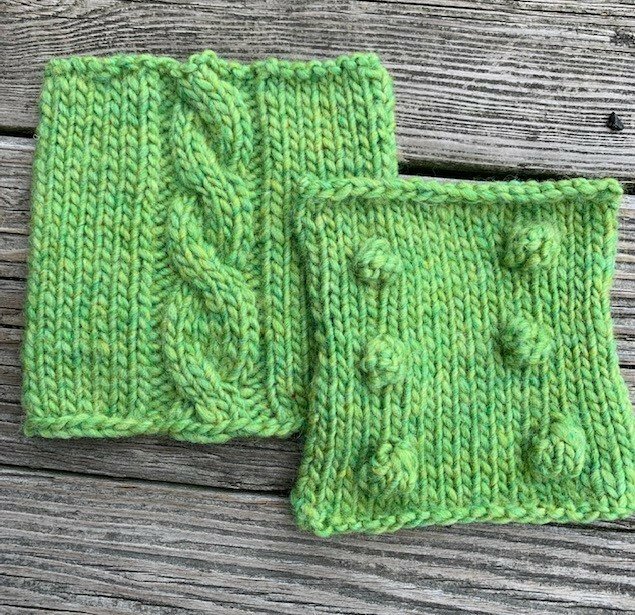 This is a great class for new-ish knitters who'd like some help learning how to make different cable stitches, and we're throwing cute bobbles in just for fun. During the class, you'll cast on and start on a 4" - 5" wide piece with repeated cable and bobble patterns. When finished, you'll have a small rectangle or two squares that you can make into a little change purse! Note, size will depend on the weight of yarn you choose. A firm, chunky weight yarn such as Mauch Chunky, Wool Addicts Air, Briggs & Little Heritage or similar. Get a light color so you can see what you're doing! PLEASE NOTE - item pictured is not the final class sample...that's coming soon. Knitters should be very comfortable with knitting and purling, and ready to learn chart reading.